Geotechnical risk and reliability, deep foundations, embankment dams, landslides and debris flows, multi-phase flows, centrifuge modeling and numerical methods. Zhang, L.M., and Du, J.C. 1997. Effects of abutment slope on the performance of high rockfill dams. Canadian Geotechnical Journal, 34(4), 489-497. Zhang, L.M., and McVay M. C. 1998. Centrifuge testing of vertically loaded battered pile groups in sand. Geotechnical Testing Journal, ASTM, 21(4), 281-288. Zhang, L.M., Yu, X.M., and Hu, T. 1998. Optimization of compaction zoning in embankments. Canadian Geotechnical Journal, 35(4), 611-621. McVay, M.C., Zhang, L.M., Molnit, T., and Lai, P. 1998. Centrifuge testing of large plumb pile groups in sands. J. Geotech. Geoenviron. Engrg., ASCE, 124(10), 1016-1026. Zhang, L.M., and Du, J.C. 1998. Effects of abutment slope on the performance of high rockfill dams--Reply. Canadian Geotechnical Journal, 35(5), 903-904. Zhang, L.M. 1999. Settlement patterns of soft soil foundations under embankments. Canadian Geotechnical Journal, 36(4), 774-781. Zhang, L.M., McVay, M.C., and Lai, P. 1999. Numerical analysis of laterally loaded 3x3 to 7x3 pile groups in sands. J. Geotech. Geoenviron. Engrg., ASCE, 125(11), 936-946. Zhang, L.M., McVay, M.C., and Lai, P. 1999. Centrifuge modelling of laterally loaded single battered piles in sands. Canadian Geotechnical Journal, 36(6), 1074 -1084. McVay, M., Birgisson, B., Zhang, L.M., Perez, A., and Putcha, S. 2000. Load and resistance factor design (LRFD) for driven piles using dynamic methods-a Florida perspective. Geotechnical Testing Journal, ASTM, 23(1), 55-66. McVay, M. C., Zhang, L.M., Han, S.J., and Lai P. 2000. An experiment and numerical study of laterally loaded pile groups with pile caps at variable elevations. Paper 00-1409, Journal of the Transportation Research Board (Transportation Research Record), National Research Council, Washington, D.C., No. 1736, 12-18. Zhang, L.M., McVay, M. C., and Ng, C.W.W. 2001. A possible physical meaning of Case damping in pile dynamics. Can. Geotech. J., 38(1), 83-94. Zhang, L.M., Tang, W.H., and Ng, C.W.W. 2001. Reliability of axially loaded driven pile groups. J. Geotech. Geoenviron. Engrg., ASCE, 127(12), 1051-1060. Ng, C.W.W., and Zhang, L.M. 2001. Three-dimensional analysis of laterally loaded sleeved piles in slope ground. J. Geotech. Geoenviron. Engrg., ASCE, 127(6), 499-509. Ng, C.W.W., Zhang, L.M., and Ho, K.K.S. 2001. Influence of laterally loaded sleeved piles on slope stability. Can. Geotech. J., 38(3), 553-566. Ng, C.W.W., Zhang, L.M., and Nip, C.N. 2001. Response of laterally loaded large-diameter bored pile groups. J. Geotech. Geoenviron. Engrg., ASCE, 127(8), 658-669. Zhang, L.M., McVay, M. C., and Ng, C.W.W. 2002. A possible physical meaning of Case damping in pile dynamics: Reply. Canadian Geotechnical Journal, 39 (2): 493-494. Zhang, L.M., McVay, M.C., Gardner, R., Han, S.J., and Lai, P. 2002. Effects of dead loads on the lateral response of battered pile groups. Can. Geotech. J., 39(3), 561-575. Ng, C.W.W., Zhang, L.M., and Nip, C.N. 2002. Closure to "Response of laterally loaded large-diameter bored pile groups". J. Geotech. Geoenviron. Engrg., ASCE, 128(11), 964-965. Zhang, L.M. 2003. Behavior of laterally loaded large-section barrettes. J. Geotech. Geoenviron. Engrg., ASCE, 129(7), 639-648. Ng, C.W.W., Fung, W.T., Cheuk, C.Y., and Zhang, L.M. 2004. Influence of stress ratio and stress path on static liquefaction of loose DG. J. Geotech. Geoenviron. Engrg., ASCE, 130(1), 36-44. Zhang, L.M., Tang, W.H., Zhang, L.L., and Zheng, J.G. 2004. Reducing uncertainty of prediction from empirical correlations. J. Geotech. Geoenviron. Engrg., ASCE, 130(5), 526-534. Zhang, L.M. 2004. Reliability verification using proof pile load tests. J. Geotech. Geoenviron. Engrg., ASCE, 130(11), 1203-1213. Zhang, L.L., Fredlund, D.G., Zhang, L.M., and Tang, W.H. 2004. Conditions under which soil suction can be maintained. Canadian Geotech. Journal, 41(4), 569-582. Zhang, L.M., Ng, C.W.W., and Lee, C.J. 2004. Effects of slope and sleeving on laterally loaded piles. Soils and Foundations, 44 (4), 99-108. Zhang, L.M., and Chen, Q. 2005. Predicting bimodal soil-water characteristic curves. J. Geotech. Geoenviron. Engrg., ASCE, 131(5), 666-670. Zhang, L.M., and Ng, Agnes, M.Y. 2005. Probabilistic limiting tolerable displacements for serviceability limit state design of foundations. Geotechnique, 55(2), 151-161. Zhang, L.L., Zhang, L.M., and Tang, W.H. 2005. Rainfall-induced slope failure considering variability of soil properties. Geotechnique, 55(2), 183-188. Li, D.Q., Zhang, L.M., and Tang, W.H. 2005. Evaluation of reliability of cross-hole sonic logging for bored piles. J. Geotech. Geoenviron. Engrg., ASCE, 131(9), 1130-1138. Zhang, L.M., Li, D.Q., and Tang, W.H. (2005). Reliability of bored pile foundations considering bias in failure criteria. Canadian Geotechnical Journal, 42(4), 1086-1093. Zhang, L.M. (2005). Pile driving process monitoring based on field energy measurements. Soils and Foundations, 45(6), 31-41. Chen, S.L., Zhang, L.M., and Chen, L.Z. (2005). Consolidation of a finite transversely isotropic soil layer on a rough impervious base. J. Engrg. Mechanics, ASCE, 131(12), 1279-1290. Chen, S.L., Chen, L.Z., and Zhang, L.M. (2005). Axisymmetric consolidation of a semi-infinite transversely isotropic saturated soil. Int. J. for Numerical and Analytical Methods in Geomechanics, 29(11), 1249–1270. Chen, Q., and Zhang, L.M. (2006). Three-dimensional analysis of water infiltration into the Gouhou rockfill dam using saturated-unsaturated seepage theories. Canadian Geotechnical Journal, 43(5), 449-461. Zhang, L.M., and Kong, L.G. (2006). Centrifuge modeling of torsional response of piles in sand. Canadian Geotechnical Journal, 43(5), 500-515. Zhang, L.M., Li, D.Q, and Tang, W.H. (2006). Impact of routine quality assurance on reliability of bored piles. J. Geotech. Geoenviron. Engrg., ASCE, 132(5), 622-630. Zhang, L.M., Li, D.Q, and Tang, W.H. (2006). Level of construction control and safety of driven piles. Soils and Foundations, 46(4), 415-425. Shek, M.P., Zhang, L.M., and Pang, H.W. (2006). Setup effect in long piles in weathered soils. J. of Geotech. Engrg., Proceedings of thee Institution of Civil Engineers, 159 (GE3), 145-152. Zhang, L.M., Shek, M.P., Pang, W.H., and Pang, C.F. (2006). Knowledge-based pile design using a comprehensive database. J. of Geotech. Engrg., Proceedings of the Institution of Civil Engineers, 159 (GE3), 177-185. Zhang, L.M., Ng, C.W.W., Chan, F., Pang, H.W. (2006). Termination criteria for jacked pile construction in weathered soils. J. Geotech. Geoenviron. Engrg., ASCE, 132(7), 819-829. Kong, L.G., and Zhang, L.M. (2006). Rate-controlled lateral-load pile tests using a robotic manipulator in centrifuge. Geotech. Testing J., ASTM, Geotechnical Testing Journal, 30(3), Paper ID GTJ13138. Zhang, L.M., and Chen, Q. (2006). Analysis of seepage failure of the Gouhou rockfill dam during reservoir water infiltration. Soils and Foundations, 46(5), 557-568. Zhang, J.H., Zhang, L.M., and Lu, X.B. (2007). Centrifuge modeling of suction bucket foundations under ice-sheet induced cyclic lateral loadings. Ocean Engineering, 34(8-9), 1069-1079. Li, D.Q., Zhang, L.M., and Tang, W.H. (2007). Closure to “Reliability evaluation of cross-hole sonic logging for bored pile integrity.” J. Geotech. Geoenviron. Engrg., ASCE, 133(3), 343-344. Zhang, L.M., and Wong. Eric Y.W. (2007). Centrifuge modeling of large diameter bored pile groups with defects. J. Geotech. Geoenviron. Engrg., ASCE, 133(9), 1091-1101. Xu, Y., and Zhang, L.M. (2007). Settlement ratios of pile groups in sandy soils from field load tests. J. Geotech. Geoenviron. Engrg., ASCE, 133(8), 1048-1054. Kong, L.G., and Zhang, L.M. (2007). Centrifuge modeling of response of pile groups under torsion. J. Geotech. Geoenviron. Engrg., ASCE, 133(11), 1374-1384. Kong, L. G., and Zhang, L.M. (2007). Experimental study of interaction and coupling effects in pile groups subjected to torsion. Canadian Geotechnical Journal, 45(7), 1006-1017. Zhang, L.M., and Wang, H. (2007). Development of residual forces in long driven piles in weathered soils. J. Geotech. Geoenviron. Engrg., ASCE, 133(10), 1216-1228..
Zhang, L.M., Ng, C.W.W., Chan, F., Pang, H.W. (2007). Closure to “Termination criteria for jacked pile construction in weathered soils.” J. Geotech. Geoenviron. Engrg., ASCE, 133(11), 1480-1481. Zhang, L.M., and Kikuchi, Y. (2007). Ground characteristics and piling case histories in Hong Kong. The Foundation Engineering and Equipment, Japanese Geotechnical Society, 35(6), 2-24. Zhang, L.L., Zhang, L.M., and Tang, W.H. (2008). Similarity of soil variability in centrifuge models. Canadian Geotechnical Journal, 45(8), 1118-1129. Kong, L.G., and Zhang, L.M. (2008). Effect of pile-cap connection on behavior of torsionally loaded pile groups. Journal of Zhejiang University-Science A, Zhejiang University Press, co-published with Springer-Verlag GmbH, 9(3), 303-312. (Online Jan. 2008). Li, D.Q., Tang, W.H., and Zhang, L.M. (2008). Updating occurrence probability and size of defect for bored piles. Structural Safety, 30(2), 130-143. Online: doi:10.1016/j.strusafe.2006.09.002. Zhang, L.M., Xu, Y., and Tang, W.H. (2008). Calibration of models for pile settlement analysis using 64 field load tests. Canadian Geotechnical Journal, 45(1), 59-73. Zhang, L.M., and Wang, H. (2008). Closure to "Development of Residual Forces in Long Driven Piles in Weathered Soils" by L. M. Zhang, and Hao Wang October 2007, Vol. 133, No. 10, pp. 1216-1228. J. Geotech. Geoenviron. Engrg., ASCE, 134(9), 1421-1422. Xu, Y., and Zhang, L.M. (2008). Closure to "Settlement Ratio of Pile Groups in Sandy Soils from Field Load Tests" by Y. Xu, and L. M. Zhang August 2007, Vol. 133, No. 8, pp. 1048-1054, DOI: 10.1061/(ASCE)1090-0241(2007)133:8(1048). J. Geotech. Geoenviron. Engrg., ASCE, 134(9), 1419-1420. Zhang, L.M., and Wang, H. (2009). Field study of construction effects in jacked and driven steel H-piles. Geotechnique, 59(1), 63-69. Zhang, L.L., Tang, W.H., and Zhang, L.M. (2009). Bayesian model calibration using geotechnical centrifuge tests. J. Geotech. Geoenviron. Engrg., ASCE, 135 (2), 291-299. Li, X., and Zhang, L.M. (2009). Characterization of dual-structure pore-size distribution of soil. Canadian Geotech Journal, 46(2), 129-141. Chan, C.M., Zhang, L.M., and Ng, J.T.M. (2009). Optimization of pile groups using hybrid genetic algorithms. J. Geotech. Geoenviron. Engrg., ASCE, 135(4), 497-505. Xu, Q.J., Zhang, L.M., Zhang, Y., and Wang, W.C. (2009). Shear strength of a vegetation reinforced soil. Journal of Soil and Water Conservation, 64(2), 105-119. Kong, L.G., and Zhang, L.M. (2009). Nonlinear analysis of torsionally loaded pile groups. Soils and Foundations, 49(2), 291-302. Wu, L.Z., and Zhang, L.M. (2009). Analytical solutions to 1D coupled water infiltration and deformation in unsaturated soils. International Journal for Numerical and Analytical Methods in Geomechanics, 33(6), 773-790. Zhang, L.L., Zhang, L.M., and Tang, W.H. (2009). Uncertainty of field pullout resistance of soil nails. J. Geotech. Geoenviron. Engrg., ASCE, 135(7), 966-972. Zhang, J., Zhang, L.M., and Tang, W.H. (2009). Bayesian framework for characterizing geotechnical model uncertainty. J. Geotech. Geoenviron. Engrg., ASCE, 135(7), 932-940. Li, J.H., Zhang, L.M., Wang, Y., and Fredlund, D.G. (2009). Permeability tensor and REV of saturated cracked soil. Canadian Geotechnical Journal, 46(8), 928-942. Zhang, L.M., Xu, Y., and Jia, J.S. (2009). Analysis of earth dam failures-A database approach. Georisk, 3(3), 184-189. DOI: 10.1080/17499510902831759. Huang, H.W., and Zhang, L.M. (2009). Editorial. Georisk, 3(3), 115. Li, D.Q., Zhang, L.M., Zhou, C.B., and Lu, W.B. (2009). Risk–based stabilization planning for soil cut slopes. Natural Hazards and Earth System Sciences, 9(4), 1365-1379. Xu. Y., and Zhang, L.M. (2009). Breaching parameters of earth and rockfill dams. J. Geotech. Geoenviron. Engrg., ASCE, 135(12), 1957-1970. Li, X., Zhang, L.M., and Li, J.H. (2009). Development of a modified axis-translation technique for measuring SWCCs for gravel soils at very low suctions. Geotechnical Testing Journal, 32(6), 478-488. Paper ID: GTJ102201, DOI: 10.1520/GTJ102201. Chu, L.F., and Zhang, L.M. (2009). Development of partial factors for serviceability limit state design of large-diameter bored piles. HKIE Transactions, 16(4), 27-34. Li, X., Zhang, L.M., and Fredlund, D.G. (2009). Wetting front advancing column test for measuring unsaturated hydraulic conductivity. Canadian Geotechnical Journal, 46(12), 1431-1445. Zhang, L.M., and Chu, L.F. (2009). Calibration of methods for designing large-diameter bored piles: Ultimate limit state. Soils and Foundations, 49(6), 883-896. Zhang, L.M., and Chu, L.F. (2009). Calibration of methods for designing large-diameter bored piles: Serviceability limit state. Soils and Foundations, 49(6), 897-908. Zhang, J., Zhang, L.M., and Tang, W.H. (2009). Reliability based design of pile foundations considering both parameter and model uncertainties. J. of GeoEngineering, 4(3), 119-127. Zhang. J., Zhang, L.M., and Chu, L.F. (2009). Resistance factors for ultimate limit state design of large-diameter bored piles in Hong Kong. International Journal of Engineering under Uncertainty: Hazards, Assessment, and Mitigation, 1(3-4), 141-152. Zhang, J., Tang, W.H., and Zhang, L.M. (2010). Efficient probabilistic back analysis of slope stability model parameters. J. Geotech. Geoenviron. Engrg., ASCE, 136(1), 99-109. Chang, D.S. and Zhang, L.M. (2010). Simulation of the erosion process of landslide dams due to overtopping considering variations in soil erodibility along depth. Natural Hazards and Earth System Sciences, 10, 933–946. doi:10.5194/nhess-10-933-2010. Xu, Q.J., and Zhang, L.M. (2010). The mechanism of a railway landslide caused by rainfall. Landslides, 7(2), 149–156. DOI 10.1007/s10346-010-0195-y. Zhang, L.M., and Li, X. (2010). Micro-porosity structure of coarse granular soils. J. Geotech. Geoenviron. Engrg., ASCE, 136(10), 1425-1436. doi:10.1061/(ASCE)GT.1943-5606.0000348). Kong, L.G. and Zhang, L.M. 2010. Closure to Discussion of “Nonlinear Analysis of Torsionally Loaded Pile Groups” by L.G. Kong and L.M. Zhang, Soils and Foundations, Apr. 2009, Vol. 49, No. 2, pp 291-302 by Francesco Basile. Soils and Foundations, 50(2), 341. Li, X., Zhang, L.M., and Fredlund, D.G. (2010). Reply to discussion by Chen et al. on “Wetting front advancing column test for measuring unsaturated hydraulic conductivity”. Canadian Geotechnical Journal, 47(10), 1162-1163. Zhang, L.M., and Dasaka, S.M. (2010). Uncertainties in geologic profiles vs. variability in pile founding depths. J. Geotech. Geoenviron. Eng., ASCE, 136(11), 1475-1488. doi:10.1061/(ASCE) GT.1943-5606.0000364). Zhang, L.L., Zhang, J., Zhang, L.M., and Tang, W.H. (2010). Back analysis of slope failure with Markov chain Monte Carlo simulation. Computers and Geotechnics, 37(7-8), 905-912. doi:10.1016/j.compgeo. 2010.07.009. Li, J.H., and Zhang, L.M. (2011). Connectivity of a network of random discontinuities. Computers and Geotechnics, 38(2), 217-226. doi:10.1016/j.compgeo.2010.11.010. Zhang, J., Zhang, L.M., and Tang, W.H. (2011). Slope reliability analysis considering site-specific performance information. J. Geotech. Geoenviron. Eng., 137(3), 227-238. doi:10.1061/(ASCE) GT.1943-5606. 0000422. Chu, L.M., and Zhang, L.M. (2011). Centrifuge modeling of ship impact loads on bridge pile foundations. J. Geotech. Geoenviron. Eng., ASCE, 137(4), 405-420. doi:10.1061/(ASCE)GT.1943-5606.0000446. Zhang, L.M., Xu, Y., Huang, R.Q., and Chang, D.S. (2011). Particle flow and segregation in a giant landslide event triggered by the 2008 Wenchuan earthquake, Sichuan, China. Natural Hazards and Earth System Sciences, 11, 1153–1162. doi:10.5194/nhess-11-1153-2011. Li, J. H., Zhang, L. M., and Kwong, Ben C. P. (2011). Field permeability at shallow depth in a compacted fill. Geotechnical Engineering, Proceedings of the Institution of Civil Engineers, 164(3), 211-221. doi: 10.1680/geng.10.00056. Zhang, J., Zhang, L.M., and Tang, W.H. (2011). New methods for system reliability analysis of soil slopes. Canadian Geotechnical Journal, 48(7), 1138-1148. doi:10.1139/T11-009. Chang, D.S., Zhang, L.M., Xu, Y., and Huang, R.Q. (2011). Field testing of erodibility of two landslide dams triggered by the 12 May Wenchuan earthquake. Landslides, 8(3), 321-332. DOI 10.1007/s10346-011-0256-x. Zhang, L.L., Zhang, J., Zhang, L.M., and Tang, W.H. (2011). Stability analysis of rainfall-induced slope failures: a review. Geotechnical Engineering, Proceedings of the Institution of Civil Engineers, 164(5), 299-316. Chang, D.S., and Zhang, L.M. (2011). A stress-controlled erosion apparatus for studying internal erosion in soils. Geotechnical Testing Journal, 34(6), 579-589. DOI: GTJ103889. Zhang, L.M., Xu, Y., Jia, J.S., and Zhao, C. (2011). Diagnosis of embankment dam distresses using Bayesian networks. Part I. Global-level characteristics based on a dam distress database. Canadian Geotechnical Journal, 48(11), 1630-1644. doi:10.1139/T11-069. Xu, Y., Zhang, L.M., and Jia, J.S. (2011). Diagnosis of embankment dam distresses using Bayesian networks. Part II. Diagnosis of a specific distressed dam. Canadian Geotechnical Journal, 48(11), 1645–1657. doi:10.1139/T11-070. Zhang, R.J., Zheng, J.J., Zhang, L.M., Pu, H.F. (2011). An analysis method for the influence of tunnelling on adjacent loaded pile groups with rigid elevated caps. International Journal for Numerical and Analytical Methods in Geomechanics, 35(18), 1949-1971. DOI: 10.1002/nag.989. Zhang, J., Zhang, L.M., and Tang, W.H. (2011). Kriging numerical models for geotechnical reliability. Soils and Foundations, 51(6), 1169-1177. Zhang, J., Zhang, L.M., and Tang, W.H. (2011). Reliability-based optimization of geotechnical systems. J. Geotech. Geoenviron. Eng., 137(12), 1211-1221. DOI: 10.1061/(ASCE)GT.1943-5606.0000551. Lu, Y.R., and Zhang, L. M. (2012). Analysis of failure of a bridge foundation under rock impact. Acta Geotechnica, Acta Geotechnica, 7(1), 57–68. DOI 10.1007/s11440-011-0156-1. Peng, M., and Zhang, L.M. (2012). Breaching parameters of landslide dams. Landslides, 9(1): 13–31. DOI 10.1007/s10346-011-0271-y. Wu, L.Z., Zhang, L.M, and Huang, R.Q. (2012). Analytical solution to 1D coupled water infiltration and deformation in two-layer unsaturated soils. Int. J. Numerical and Analytical Methods in Geomechanics, 36(6), 798–816. DOI: 10.1002/nag.1044. Dasaka, S. M., and Zhang, L. M. (2012). Spatial variability of in-situ weathered soils. Geotechnique, 62(5), 375–384. DOI: 10.1680/geot.8.P.151.3786. Zhang, S., Zhang, L.M., Peng, M., Zhang, L.L., Zhao, H.F., and Chen, H.X. (2012). Assessment of risks of loose landslide deposits formed by the 2008 Wenchuan earthquake. Natural Hazards and Earth System Sciences, 12, 1381–1392. doi:10.5194/nhess-12-1381-2012. Chen H.X., Zhang, L.M., Chang, D.S. and Zhang, S. (2012). Mechanisms and runout characteristics of the rainfall-triggered debris flow in Xiaojiagou in Sichuan Province, China. Natural Hazards, Nat Hazards, 62(3):1037–1057. DOI 10.1007/s11069-012-0133-5. Tang, Xiao-Song, Li, Dian-Qing*, Zhou, Chuang-Bing, and Zhang L.M. (2012) Improved knowledge-based clustered partitioning and its application to slope reliability analysis. Computers and Geotechnics, Computers and Geotechnics 45 (2012) 34–43. Doi: 10.1016/j.compgeo.2012.05.001. Huang, H.W., Zhang, J., and Zhang, L.M. (2012). Bayesian network for characterizing model uncertainty of liquefaction potential evaluation models. KSCE Journal of Civil Engineering, 16(5), 714-722. DOI 10.1007/s12205-012-1367-1. Peng, M., and Zhang, L. M. (2012). Analysis of human risks due to dam break floods - part 1: A new model based on Bayesian networks. Natural Hazards, 64(1), 903-933. DOI 10.1007/s11069-012-0275-5. Peng, M., and Zhang, L. M. (2012). Analysis of human risks due to dam break floods - part 2: Application to Tangjiashan Landslide Dam failure. Natural Hazards, 64(2), 1899-1923. DOI 10.1007/s11069-012-0336-9. Zhang, L.M., and Chu, K.H. (2012). Movements of long driven piles during pile driving. J. Geotech. Geoenviron. Eng., 138(10), 1222-1236. doi:10.1061/(ASCE)GT.1943-5606.0000707. Zhang, X.H., Lu, X.B., Zhang, L.M., Wang, S.Y., and Li, Q.P. (2012). Experimental study on mechanical properties of methane-hydrate-bearing sediments. Acta Mech. Sin., 28(5), 1356-1366. DOI: 10.1007/s10409-012-0142-3. Zhu, H., Zhang, L.M., Zhang, L.L., and Zhou, C.B. (2013). Two-dimensional probabilistic infiltration analysis with a spatially varying permeability function. Computers and Geotechnics, 48, 249–259. http://dx.doi.org/10.1016/j.compgeo.2012.07.010. Zhao, H.F., Zhang, L.M., and Chang D. S. (2013). Behavior of coarse widely graded soils under low confining pressures. Journal of Geotechnical and Geoenvironmental Engineering, 139(1), 35-48. doi:10.1061/(ASCE)GT.1943-5606.0000755. 119. Bate, B., and Zhang, L.M. (2013). Use of vacuum for the stabilization of dry sand slopes. Journal of Geotechnical and Geoenvironmental Engineering, 139(1), 143-151. doi: 10.1061/(ASCE)GT.1943-5606.0000731. Li, J.H., Du, L., Chen, R., and Zhang, L.M. (2013). Numerical investigation of the performance of covers with capillary barrier effects in South China. Computers and Geotechnics, 48, 304-315. online http://dx.doi.org/10.1016/j.compgeo.2012.08.008. Peng, M., and Zhang, L.M. (2013). Dynamic decision making for dam-break emergency management - Part 1: Theoretical framework. Natural Hazards and Earth System Sciences, 13, 425-437. www.nat-hazards-earth-syst-sci.net/13/425/2013/, doi:10.5194/nhess-13-425-2013. Peng, M., and Zhang, L.M. (2013). Dynamic decision making for dam-break emergency management - Part 2: Application to Tangjiashan Landslide Dam failure. Natural Hazards and Earth System Sciences, 13, 439-454. www.nat-hazards-earth-syst-sci.net/13/439/2013/, doi:10.5194/nhess-13-439-2013. Li, D.Q., Jiang, S.H., Wu, S.B., Zhou, C.B., and Zhang, L.M. (2013). Modeling multivariate distributions using Monte Carlo simulation for structural reliability analysis with complex performance function. Proc IMechE Part O: Journal of Risk and Reliability, 227(2), 109–118. online DOI: 10.1177/1748006X13476821. Zhang, S., Zhang, L.M., Chen, H.X., Yuan, Q., Pan, H. (2013). Changes in runout distances of debris flows over time in the Wenchuan Earthquake zone. Journal of Mountain Sciences, 10(2), 281–292. DOI: 10.1007/s11629-012-2506-y. Chen, H.X., Zhang, L.M., Zhang, S., Xiang, B., and Wang, X.F. (2013). Hybrid simulation of the initiation and runout characteristics of a catastrophic debris flow. Journal of Mountain Sciences, 10(2), 219-232. DOI: 10.1007/s11629-013-2505-z. Zhang, J., Zhang, L.M., and Tang, W.H. (2013). Evaluation of generalized linear models for soil liquefaction probability prediction. Environmental Earth Sciences, 68(7), 925-1933. DOI 10.1007/s12665-012-1880-z. Lu, Y.E., and Zhang, L.M. (2013). Progressive collapse of a drilled-shaft bridge foundation under vessel impact. Ocean Engineering, 66, 101–112. http://dx.doi.org/10.1016 /j.oceaneng.2013.04.007. Zhang, L.M., Xu, Y., Liu, Y. and Peng, M. (2013). Assessment of levee breaching risks to the Pearl River Delta. Georisk Special Issue on “Levee Reliability and Flood Risk", Timo Schweckendiek & Ed Calle (Guest editors), 7(2), 122-133. Doi: 10.1080/17499518.2013.790733. Zhu, H., and Zhang, L. M. (2013). Characterizing geotechnical anisotropic spatial variations using random field theory. Canadian Geotechnical Journal, 50(7): 723–734. dx.doi.org/10.1139/cgj-2012-0345. Chang, D.S., and Zhang, L.M. (2013). Extended internal stability criteria for soils under seepage. Soils and Foundations, 53 (8), 569-583. doi: 10.1016/j.sandf.2013.06.008. Chang D.S., and Zhang, L.M. (2013). Critical hydraulic gradients of internal erosion under complex stress states. Journal of Geotechnical and Geoenvironmental Engineering, 139(9), 1454-1467. doi:10.1061/(ASCE)GT.1943-5606.0000871. Zhao, H.F., Zhang, L.M., Xu, Y., and Chang, D.S. (2013). Variability of geotechnical properties of a fresh landslide soil deposit. Engineering Geology, 166: 1-10. http://dx.doi.org/10.1016/j.enggeo.2013.08.006. Wang, Y., Li, J.H., Zhang, L.M., and Cai, C.Z. (2013). Measuring water retention curves for rough joints with random apertures. Geotechnical Testing Journal, 36(6), 929-938. DOI: 10.1520/GTJ20130002. Zhao, H.F. and Zhang, L.M. (2014). Instability of saturated and unsaturated coarse granular soils. Journal of Geotechnical and Geoenvironmental Engineering, 140(1), 25-35. doi: 10.1061/(ASCE)GT.1943-5606.0000976. Zhao, H.F., Zhang, L.M., and Chang, D.S. (2014). Closure to "behavior of coarse widely graded soils under low confining pressures" by H. F. Zhao, L. M. Zhang, and D. S. Chang January 2013, Vol. 139, No. 1, pp. 35-48 DOI:10.1061/(ASCE)GT.1943-5606.0000755. Journal of Geotechnical and Geoenvironmental Engineering, 140(2), 07013002. http://dx.doi.org/10.1061/(ASCE)GT.1943-5606.0001048. Li, X., Zhang, L.M., and Li, J.H. (2014). Predicting bimodal soil-water characteristic curves and permeability functions using physically based parameters. Computers and Geotechnics, 57: 85–96. http://dx.doi.org/10.1016/j.compgeo.2014.01.004. Li, X., Zhang, L.M., and Wu, L.Z. (2014). A framework for unifying soil fabric, suction, void ratio and water content during dehydration process. Soil Science Society of America Journal, 78: 387-399. doi:10.2136/sssaj2013.08.0362. Jiang, S.H., Li, D.Q., Zhang, L.M. (2014). Capabilities of stochastic response surface method and response surface method in reliability analysis. Structural Engineering and Mechanics, An International Journal, 49(1), 111-128. DOI: http://dx.doi.org/10.12989/sem.2014.49.1.111 111. Jiang, S.H., Li, D.Q., Zhang, L.M., and Zhou, C.B. (2014). Slope reliability analysis considering spatially variable shear strength parameters using a non-intrusive stochastic finite element method. Engineering Geology, 168: 120–128. dx.doi.org/10.1016/j.enggeo.2013.11.006. Zhang, X. H., Lu, X. B., Zheng, Z. M., Zhang, L. M. (2014). Heat-induced evolution of phase transformations in tetrahydrofuran hydrate-bearing sediment. Journal of Heat Transfer, ASME, 136(5), paper 052002. doi:10.1115/1.4026454. Jiang, S.H., Li, D.Q., Zhang, L.M., and Zhou, C.B. (2014). Time-dependent system reliability of anchored rock slopes considering rock bolt corrosion effect. Engineering Geology, 175, 1-8. http://dx.doi.org/10.1016/j.enggeo.2014.03.011. Zhang, S., Zhang, L.M., and Glade, T. (2014). Characteristics of earthquake- and rain-induced landslides near the epicenter of Wenchuan Earthquake. Engineering Geology, 175: 58–73. http://dx.doi.org/10.1016/j.enggeo.2014.03.012. Chen, H.X., and Zhang, L.M. (2014). A physically-based distributed cell model for predicting regional rainfall-induced slope failures. Engineering Geology, 176: 79–92. DOI: 10.1016/j.enggeo.2014.04.011. Peng, M., Li, X.Y., Li, D.Q., Jiang, S.H., and Zhang, L.M. (2014). Slope safety evaluation by integrating multi-source monitoring information. Structural Safety, 49: 65–74. http://dx.doi.org/10.1016/j.strusafe.2013.08.007. Li, D.Q., Qi, X.H., Phoon, K.K., Zhang, L.M., and Zhou, C.B., (2014). Effect of spatially variable shear strength parameters with linearly increasing mean trend on reliability of infinite slopes. Structural Safety, 49: 45–55. http://dx.doi.org/10.1016/j.strusafe.2013.08.005. Zhang, L.L., Zheng, Y.F., Zhang, L.M., Li, X., Wang, J.H. (2014). Probabilistic model calibration for soil slope under rainfall: effects of measurement duration and frequency in field monitoring. Geotechnique, 64(5), 365-378. DOI: 10.1680/geot.13.P.134.152. Zhang, J., Li, J.P., and Zhang, L.M. (2014). Calibrating cross-site variability for reliability-based design of pile foundations. Computers and Geotechnics, 62: 154–163. DOI: 10.1016/j.compgeo.2014.07.013. Zhou, Y.G., and Zhang, L.M. (2014). Editorial - Special Issue “The geological and geotechnical hazards of the 2008 Wenchuan earthquake, China: Part I”. Engineering Geology, 180: 1–3. Peng, M., Zhang, L.M., Chang, D.S., and Shi, Z.M. (2014). Engineering risk mitigation measures for the landslide dams induced by the 2008 Wenchuan earthquake. Engineering Geology, 180: 68-84. doi: 10.1016/j.enggeo.2014.03.016. Zhang, L.M., Zhang, S., and Huang, R.Q. (2014). Multi-hazard scenarios and consequences in Beichuan, China: The first five years after the 2008 Wenchuan earthquake. Engineering Geology, 180: 4-20. Doi: 10.1016/j.enggeo.2014.03.020. Zhang, S., and Zhang, L.M. (2014). Human vulnerability to quick shallow landslides along road: fleeing process and modelling. Landslides, 11: 1115-1129. doi: 10.1007/s10346-014-0468-y. Zhao, H.F., and Zhang, L.M. (2014). Effect of coarse content on the shear behaviour of unsaturated coarse granular soils. Canadian Geotechnical Journal, 51(12), 1371–1383. dx.doi.org/10.1139/cgj-2012-0292. Chen, H.X., Zhang, L.M, and Zhang, S. (2014). Evolution of debris flow properties and physical interactions in debris-flow mixtures in the Wenchuan earthquake zone. Engineering Geology, 182, Part B, 136–147. Doi: 10.1016/j.enggeo.2014.08.004. Chen, H.X., Zhang, L.M. (2014). EDDA: integrated simulation of debris flow erosion, deposition and property changes. Geoscientific Model Development Discuss., 7, 7267-7316. Chang, D.S., Zhang, L.M., and Cheuk, J. (2014). Mechanical consequences of internal soil erosion. HKIE Transactions, 2014, 21(4), 198–208. HKIE Outstanding Paper Award for Young Engineers/Researchers 2014. Chen, H.X., Zhang, L.M. (2015). EDDA 1.0: integrated simulation of debris flow erosion, deposition and property changes. Geoscientific Model Development, 8, 829–844. www.geosci-model-dev.net/8/829/2015/; doi:10.5194/gmd-8-829-2015. Zhu, H. and Zhang, L.M. (2015). Evaluating suction profile in a vegetated slope considering uncertainty in evapotranspiration. Computers and Geotechnics, 63(1), 112-120. 10.1016/j.compgeo.2014.09.003. Zhang, S., and Zhang, L.M. (2015). Assessment of human risks posed by deadly debris flow in the wenchuan earthquake area. Int. J. of GEOMATE, 8(1) (Sl. No. 15), 1207-1211. Geotech., Const. Mat. and Env., ISSN:2186-2982(P), 2186-2990(O), Japan. Li, D.Q., Jiang, S.H., Cao, Z.J., Zhou, C.B., and Zhang, L.M. (2015). A multiple response-surface method for slope reliability analysis cosidering spatial variability of soil properties. Engineering Geology, 187, 60–72. DOI: 10.1016/j.enggeo.2014.12.003. Xu, T.H., and Zhang, L.M. (2015). Numerical implementation of a bounding surface plasticity model for sand under high strain-rate loadings in LS-DYNA. Computers and Geotechnics, 66, 203–218. http://dx.doi.org/10.1016/j.compgeo.2015.02.002. Zhu, H., Griffiths, D.V., Fenton, G.A., and Zhang, L.M. (2015). Undrained failure mechanisms of slopes in random soil. Engineering Geology, 191 (2015) 31–35. DOI 10.1016/j.enggeo.2015.03.009. Wang, D.Y., Xing, X.M., Qu, H.H., Zhang, L.M. (2015). Simulated radial expansion and heave caused by compaction grouting in non-cohesive soils. International Journal of Geomechanics, ASCE, accepted, 14 June 2013, doi: 10.1061/(ASCE)GM.1943-5622.0000333. Xiang, B., Zhang, L. M., Zhou, Li-Rong, He, Yun-Yong, and Zhu, Lin (2015). Field lateral load tests on slope-stabilization grouted pipe pile groups. J. of Geotech. & Geoenvir. Eng., 141(4), 04014124. http://dx.doi.org/10.1061/(ASCE)GT.1943-5606.0001220. Wu, L.Z., Huang, R.Q., Xu, Q., Zhang, L.M., and Li, H.L. (2015). Analysis of physical testing of rainfall-induced soil slope failures. Environmental Earth Sciences, 73(12), 8519-8531. DOI 10.1007/s12665-014-4009-8. Shi, Z.M., Guan, S.G., Peng, M., Zhang, L.M., Zhu, Y., and Cai, Q.P. (2015). Cascading breaching of the Tangjiashan landslide dam and two smaller downstream landslide dams. Engineering Geology, 193 (2015) 445–458. DOI: 10.1016/j.enggeo.2015.05.021. Chen, H. X., Zhang, L. M., Gao, L., Zhu, H., and Zhang, S. (2015). Presenting regional shallow landslide movement on three-dimensional digital terrain. Engineering Geology, 195, 122–134. DOI:10.1016/j.enggeo.2015.05.027. Zhang, L.M. (2015). 2014 best paper award –Editorial. 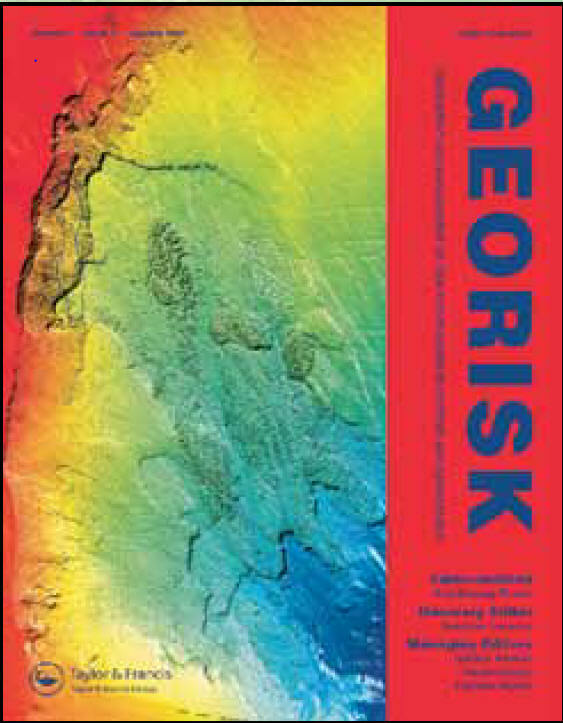 Georisk: Assessment and Management of Risk for Engineered Systems and Geohazards, 9(2), 57-57. DOI: 10.1080/17499518.2015.1056764. Li, D.Q., Jiang, S.H., Cao, Z.J., Zhou, C.B., Li, X.Y., and Zhang, L.M. (2015). Efficient 3-D reliability analysis of the 530 m high abutment slope at Jinping I Hydropower Station during construction. Engineering Geology, 195, 269-281. DOI: 10.1016/j.enggeo.2015.06.007. Danka, J., and Zhang, L.M. (2015). Dike failure mechanisms and breaching parameters. Journal of Geotechnical and Geoenvironmental Engineering, 141(9), 04015039. 10.1061/(ASCE)GT.1943-5606.0001335 , 04015039. Gao, L., and Zhang, L.M. (2015). Spatial characteristics of severe storms in Hong Kong. Hydrol. Earth Syst. Sci. Discuss., 19, 1–41. www.hydrol-earth-syst-sci-discuss.net/19/1/2015/. doi:10.5194/hessd-19-1-2015 178. Zhu, H., and Zhang, L.M. (2015). Field investigation of erosion resistance of common grass species for soil-bioengineering in Hong Kong. Acta Geotechnica, DOI 10.1007/s11440-015-0408-6. Gao, L., Zhang, L.M., and Chen, H.X. (2015). Likely scenarios of natural terrain shallow slope failures on Hong Kong Island under extreme storms. Natural Hazards Review, ASCE, 10.1061/(ASCE)NH.1527-6996.0000207 , B4015001. Wu, L.Z., Zhang, L.M., and Li, X. (2016). One-dimensional coupled infiltration and deformation in unsaturated soils subjected to varying rainfall. International Journal of Geomechanics, 2016, 16(2), 06015004. 10.1061/(ASCE)GM.1943-5622.0000535 , 06015004. Li, D. Q., Xiao, T., Cao, Z. J., Zhou, C. B, Zhang, L. M. (2016). Enhancement of random finite element method in reliability analysis and risk assessment of soil slopes using Subset Simulation. Landslides, 13(2), 293-303. DOI 10.1007/s10346-015-0569-2. Li, J.H., Cassidy, M. J., Huang, J.S., Zhang, L. M., and Kelly, R. (2016). Probabilistic identification of soil stratification. Geotechnique, 66 (1), 16-26. http://dx.doi.org/10.1680/geot.14.P.242. Li, X.Y., Zhang, L.M., and Li, J.H. (2016). Using conditioned random field to characterize the variability of geologic profiles. Journal of Geotechnical and Geoenvironmental Engineering, 142(4), 04015096. 10.1061/(ASCE)GT.1943-5606.0001428, 04015096. Li, X.Y., Zhang, L.M., Jiang, S.H. (2016). Updating performance of high rock slopes by combining incremental time-series monitoring data and three-dimensional numerical analysis. International Journal of Rock Mechanics and Mining Sciences, 83, 252–261. 10.1016/j.ijrmms.2014.09.011. Sept. 2014. Chen, S.L., Kong, L.G., and Zhang, L.M. (2016). Analysis of pile groups subjected to torsional loading. Computers and Geotechnics, 71(1), 115-123. doi:10.1016/j.compgeo.2015.09.004. Chen, H.X., Zhang, S., Peng, M., and Zhang, L.M. (2016). A physically-based multi-hazard risk assessment platform for regional rainfall-induced slope failures and debris flows. Engineering Geology, 203, 15–29. 10.1016/j.enggeo.2015.12.009. Phoon, K. K., Retief, J. V., Ching, J., Dithinde, M., Schweckendiek, T., Wang, Y. 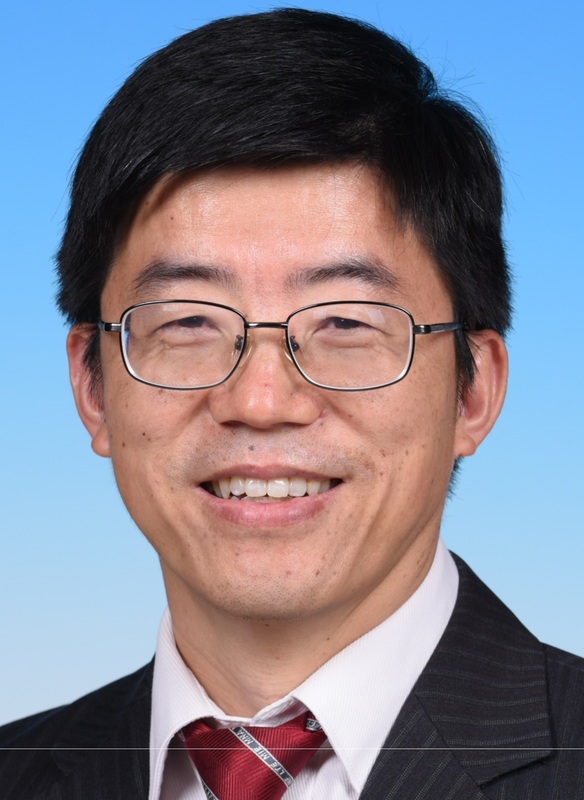 & Zhang, L. M. (2016). Some observations on ISO2394:2015 Annex D (Reliability of Geotechnical Structures). Structural Safety, 62: 24-33. doi:10.1016/j.strusafe.2016.05.003. Li, J.H., Zhou, Y., Zhang, L.L., Tian, Y., Cassidy, M.J., Zhang, L.M. (2016). Random finite element method for spudcan foundations in spatially variable soils. Engineering Geology, 205, 146–155. http://dx.doi.org/10.1016/j.enggeo.2015.12.019. Li, X.Y., Zhang, L.M., Jiang, S.H., Li, D.Q., and Zhou, C.B. (2016). Assessment of slope stability in the monitoring parameter space. Journal of Geotechnical and Geoenvironmental Engineering, 142(7), 04016029. 10.1061/(ASCE)GT.1943-5606.0001490. Jia, J.S., Xu, Y., Hao, J.T., and Zhang, L.M. (2016). Localizing and quantifying leakage through CFRDs. Journal of Geotechnical and Geoenvironmental Engineering, 10.1061/(ASCE)GT.1943-5606.0001501, 06016007. Chen, H. X., Zhang, L.M., Gao, L., Yuan, Q., Lu, T., Xiang, B., and Zhuang, W.L. (2016). Simulation of interactions among multiple debris flows. Landslides, DOI: 10.1007/s10346-016-0710-x. Accepted on 8 April 2016. Chen, C., Zhang, L.M., and Chang, D.S. (2016). Stress-strain behavior of granular soils subjected to internal erosion. Journal of Geotechnical and Geoenvironmental Engineering, DOI: 10.1061/(ASCE)GT.1943-5606.0001561, 06016014. Zhang, X.H., Lu, X.B., Zhang, L.M., and Shi, Y.H. (2016). Mechanism of soil stratum instability induced by hydrate dissociation. Ocean Engineering, 122, 74-83. http://dx.doi.org/10.1016/j.oceaneng.2016.06.015. Cheng, Y., Zhang, L.L., Li, J.H., Zhang, L.M., Wang, J.H, and Wang, D.Y. (2016). Consolidation in spatially random unsaturated soils based on coupled flow-deformation simulation. International Journal for Numerical and Analytical Methods in Geomechanics, accepted for publication, 27 July 2016. Feng, S.J., Gao, K.W., Chen, Y.X., Li, Y., Zhang, L.M., and Chen, H.X. (2016). Geotechnical properties of municipal solid waste at the Laogang landfill, China. Waste Management. Accepted, 14 Sept. 2016. http://dx.doi.org/10.1016/j.wasman.2016.09.016. Gao, L., Zhang, L.M., Chen, H.X., and Shen, P. (2016). Simulating debris flow mobility in urban settings. Engineering Geology, 214, 67–78. DOI10.1016/j.enggeo.2016.10.001. Zhang, S., Zhang, L.M. (2017). Impact of the 2008 Wenchuan earthquake in China on subsequent long-term debris flow activities in the epicentral area. Geomorphology, 276(1), 86–103. Online 10.1016/j.geomorph.2016.10.009. Zhang, S., Zhang, L.M., Nadim, F., and Lacasse, S. (2016). Evolution of mass movement near epicenter of Wenchuan earthquake, the first eight years. Scientific Reports, 6, 36154. DOI: 10.1038/srep36154. Wu L.Z., Selvadurai, A.P.S., Zhang, L.M., Huang, R.Q., Huang, J.S. (2016). Poro-mechanical coupling influences on potential for rainfall-induced shallow landslides in unsaturated soils. Advances in Water Resources, 98, 114–121. http://dx.doi.org/10.1016/j.advwatres.2016.10.020. Shi, Z.M., Xiong, X., Peng, M., Zhang, L.M., Xiong, Y.F., Chen, H.X., and Zhu, Y. (2017). 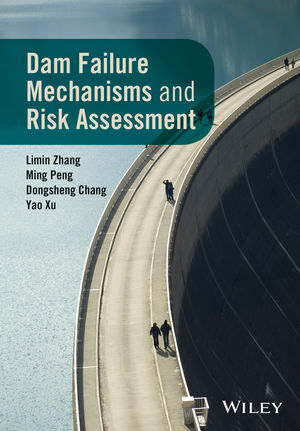 Risk assessment and mitigation for the Hongshiyan landslide dam triggered by the 2014 Ludian earthquake in Yunnan, China. Landslides, 14(1), 269-285. DOI 10.1007/s10346-016-0699-1. Shen, P., Zhang, L.M., Chen, H.X., and Gao, L. (2017). Role of vegetation restoration in mitigating hillslope erosion and debris flows. Engineering Geology, 216, 122–133. http://dx.doi.org/10.1016/j.enggeo.2016.11.019. Zhu, H., Zhang, L.M., Xiao, T., and Li, X.Y. (2017). Enhancement of slope stability by vegetation considering uncertainties in root distribution. Computers and Geotechnics, 85, 84–89. http://dx.doi.org/10.1016/j.compgeo.2016.12.027. Li, J.H., Lu, Z., Guo, L.B., and Zhang, L.M. (2017). Experimental study on soil-water characteristic curve for silty clay with desiccation cracks. Engineering Geology, 218: 70–76. http://dx.doi.org/10.1016/j.enggeo.2017.01.004. Zhu, H., Zhang, L.M., Xiao, T., and Li, X.Y. (2017). Generation of multivariate cross-correlated geotechnical random fields. Computers and Geotechnics, 86, 95–107. 10.1016/j.compgeo.2017.01.006. Chen, H. X., Zhang, L.M., Gao, L., Yuan, Q., Lu, T., Xiang, B., and Zhuang, W.L. (2017). Simulation of interactions among multiple debris flows. Landslides, 14(2), 595–615. DOI: 10.1007/s10346-016-0710-x. Wu, L.Z., Zhang, L.M., Zhou, Y., Xu, Q., Yu, B., Liu, G.G., Bai, L.Y. (2017). Theoretical analysis and model test for rainfall-induced shallow landslides in the red-bed area of Sichuan. Bulletin of Engineering Geology and the Environment, DOI 10.1007/s10064-017-1008-5. Fan, G., Zhang, L.M., Zhang, J.J., Yang, C.W. (2017). Time-frequency analysis of instantaneous seismic safety of bedding rock slopes. Soil Dynamics and Earthquake Engineering, 94: 92–101. 10.1016/j.soildyn.2017.01.008. Chen, C., Zhang, L.M., and Chang, D.S. (2017). Closure to "Stress-Strain Behaviour of Granular Soils Subjected to Internal Erosion" by C. Chen, L. M. Zhang, and D. S. Chang DOI: 10.1061/(ASCE)GT.1943-5606.0001561. Journal of Geotechnical and Geoenvironmental Engineering, 143(9): 07017020. Gao, L., Zhang, L., and Lu, M. (2017). Characterizing the spatial variations and correlations of large rainstorms for landslide study, Hydrol. Earth Syst. Sci. Discuss., doi:10.5194/hess-2017-117. Xiao, T., Zhang, L.M., Li, X.Y., and Li, D.Q. (2017). Probabilistic stratification modelling in geotechnical site characterization. ASCE-ASME Journal of Risk and Uncertainty in Engineering Systems, Part A: Civil Engineering, 3(4), 04017019. DOI: 10.1061/AJRUA6.0000924. Fan, G., Zhang, L.M., Zhang, J.J., and Ouyang, F. (2017). Energy-based analysis of mechanisms of earthquake-induced landslide using Hilbert–Huang transform and marginal spectrum. Rock Mechanics and Rock Engineering, 50, 2425–2441. DOI 10.1007/s00603-017-1245-8. Gao, L., Zhang, L.M., and Chen, H.X. (2017). Two-dimensional simulation of debris flow impact pressures on buildings. Engineering Geology, 226, 236–244. https://doi.org/10.1016/j.enggeo.2017.06.012. Zhang, L.M., and Ke, Y.Q. (2017). Combinations of soil materials for granular capillary barriers for minimising rainfall infiltration and gas emission. Canadian Geotechnical Journal, 54(11): 1580-1591, https://doi.org/10.1139/cgj-2016-0334. Li, X.Y., Zhang, L.M., and Zhang, S. (2017). Efficient Bayesian networks for slope safety evaluation with large quantity monitoring information. Geoscience Frontiers, https://doi.org/10.1016/j.gsf.2017.09.009. Shen, P., Zhang, L.M., Chen, H.X., Fan, R.L. (2017). EDDA 2.0: integrated simulation of debris flow initiation and dynamics, considering two initiation mechanisms. Geosci. Model Dev. Discuss., https://doi.org/10.5194/gmd-2017-204.
. Chen, C., Zhang, L.M., and Zhu, H. (2018). A photographic method for measuring soil deformations during internal erosion under triaxial stress conditions. Geotechnical Testing Journal, 41(1), 43-54. DOI: 10.1520/GTJ20170031. Xiao, T., Li, D.Q., Cao, Z.J., Zhang, L.M. (2018). CPT-Based probabilistic characterization of three-dimensional spatial variability using MLE. Journal of Geotechnical and Geoenvironmental Engineering, 144(5), 04018023 DOI: 10.1061/(ASCE)GT.1943-5606.0001875. Gao, L., Zhang, L.M. *, and Cheung, R.W.M. (2018). Relationships between natural terrain landslide magnitudes and triggering rainfall based on a large landslide inventory in Hong Kong. Landslides, 15, 727–740. DOI 10.1007/s10346-017-0904-x. Li, Xue-You, Fan, Zeng-Bin, Lu, Tao L, Xiao, Te, and Zhang, L.M. * (2018). A resilience model for engineered slopes subject to anchor corrosion. KSCE Journal of Civil Engineering, 22(3), 887-895. DOI 10.1007/s12205-018-1041-3. Zhu, H., Zhang, L.M. *, and Garg, A. (2018). Investigating plant transpiration-induced soil suction affected by root morphology and root depth. Computers and Geotechnics, 103, 26-31. 10.1016/j.compgeo.2018.06.019. Zhou, J., Chen, D., Wang, D.Y., Zhang, L.-L., and Zhang, L.M. (2018). Failure probability of transverse surface settlement induced by EPB shield tunneling in clayey soils. ASCE-ASME Journal of Risk and Uncertainty in Engineering Systems, Part A: Civil Engineering. 4. 10.1061/AJRUA6.0000981. Shen, P., Zhang, L.M. *, Chen, H.X., Fan, R.L. (2018). EDDA 2.0: integrated simulation of debris flow initiation and dynamics considering two initiation mechanisms. Geoscientific Model Development, 11(7), 2841-2856. 10.5194/gmd-11-2841-2018. Zhu, H., Zhang, L.M. *, Xiao, T. (2018). Evaluating the stability of anisotropically deposited soil slopes. Canadian Geotechnical Journal, 10.1139/cgj-2018-0210, accepted on 26 July 2017. Zhu, H., Zhang, L.M. *, Chen, C., and Chan, K. (2018). Three-dimensional modelling of water flow due to leakage from pressurized buried pipe. Geomechanics and Engineering, An International Journal, 16(4), 423-433, DOI: https://doi.org/10.12989/gae.2018.16.4.423. Li, L.; Wang, Y., Zhang, L.M. Choi, C., Ng, C.W.W. (2018). Evaluation of critical slip surface in limit equilibrium analysis of slope stability by smoothed particle hydrodynamics. International Journal of Geomechanics, accepted, 18 Oct. 2018. Fan, G., Zhang, L.M. *, Li, X.Y., Fan, R.L., and Zhang, J.J. (2018). Dynamic response of rock slopes to oblique incident SV waves. Engineering Geology, 247: 94-103. doi:10.1016/j.enggeo.2018.10.022. Li, D.Q., Xiao, T., Zhang, L.M., and Cao, Z.J. (2018). Stepwise covariance matrix decomposition for efficient simulation of multivariate large-scale three-dimensional random fields. Applied Mathematical Modelling, 68: 169–181. https://doi.org/10.1016/j.apm.2018.11.011, paper APM 12536. Su, Jing-Bo, Luan, Shao-Lun, Zhang, Li-Min*, Zhu, Rui-Hu and Qin, Wang-Gen. (2019). Partitioned genetic algorithm strategy for optimal sensor placement based on structure features of a high-piled wharf. Structural Control and Health Monitoring, Struct Control Health Monit. 2019; e2289. https://doi.org/10.1002/stc.2289. Gao, L., Zhang, L.M. *, Li, X.Y., and Zhou, S.Y. (2019). Evaluating metropolitan flood coping capabilities under heavy storms. Journal of Hydrologic Engineering, ASCE, 9 Jan 2019. Wu, L.Z., Li, S.H., Zhang, M., and Zhang, L.M. (2019). A new method for classifying rock mass quality based on MCS and TOPSIS. Environmental Earth Sciences, 78:199. https://doi.org/10.1007/s12665-019-8171-x. Wu, L.Z., Deng, H., Huang, R.Q., Zhang, L.M., Guo, X.G., and Zhou, Y. (2019). Evolution of lakes created by landslide dams and the role of dam erosion: A case study of the Jiajun landslide on the Dadu River, China. Quaternary International, 503, 41-50. 10.1016/j.quaint.2018.08.001.